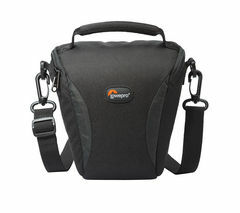 When it comes to expertly designed, brilliantly functional camera bags, Lowepro has a long and distinguished history. Founded by Greg Lowe way back in 1967, when he created the first internal-frame backpack in his garage in Colorado, Lowepro has long been driven by the pursuit of practical, innovative products that answer the real-life needs of photographers. The sheer number of expertly designed Lowepro camera bags in our extensive collection showcases the company’s determination to cater to the diverse requirements of a wide variety of photographers. Whether you’re a seasoned pro with an array of expensive lenses and equipment or an enthusiastic amateur, there’s a Lowepro camera bag or case that will match your needs and give you the confidence to take your photography to the next level. At the top end of our range, the Pro Runner BP 450 AW ll DSLR Camera Backpack offers loads of storage; including space for a 15-inch laptop, and a variety of customisable internal dividers to ensure that your gear is fully protected. 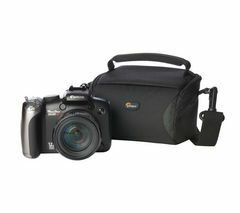 For the entry-level photographer, the Format 140 DSLR Camera Bag offers compact, weather resistant storage for a DSLR, attached kit lens, plus one additional lens – perfect for on-the-go photography when you don’t need an abundance of lenses and equipment. Browse our complete collection of DSLR and compact camera bags to see the latest bags from Manfrotto, Case Logic and Canon and take a look at our extensive camera collection for the latest models from all the leading manufacturers.